My colleague Judy makes amazing Rum cake. When I asked her the secret of her recipe, her only response was that cheaper the rum, better the cake. So with this advice in mind I went out for Rum shopping and picked up the cheapest Rum from my grocery store. I like to make cakes from scratch, but to save time and effort, I occasionally use readymade cake mix as well. So today I went ahead to make Walnut Rum Cake with Betty Crocker Yellow cake mix. Mix the egg, vegetable oil, water, rum and the cake mix with a hand mixer until it is mixed evenly. 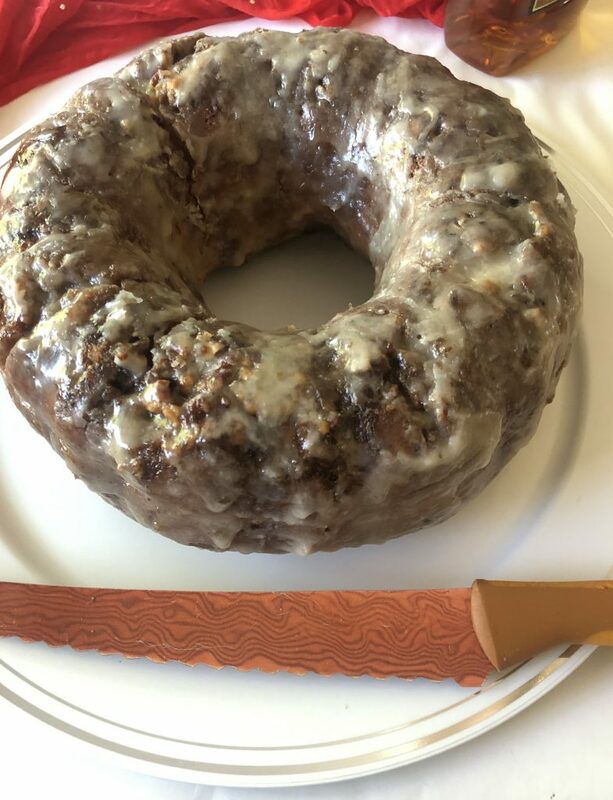 Grease the 10 inch Bundt cake pan and add the walnut to the pan. Bake the cake for 50 to 60 minute until nothing sticks to toothpick when immersed into the cake. Remove the pan from the heat and fold in the rum. Brush the glaze generously over the whole entire cake. Time for more holiday parties as we approach the new year. Tonight we are going to a party and we have been tasked to bring dessert. I was planning to make rum cake for quite sometime. So thought of making rum cake, but what about the kids? So had to come up with a dessert for the kids. 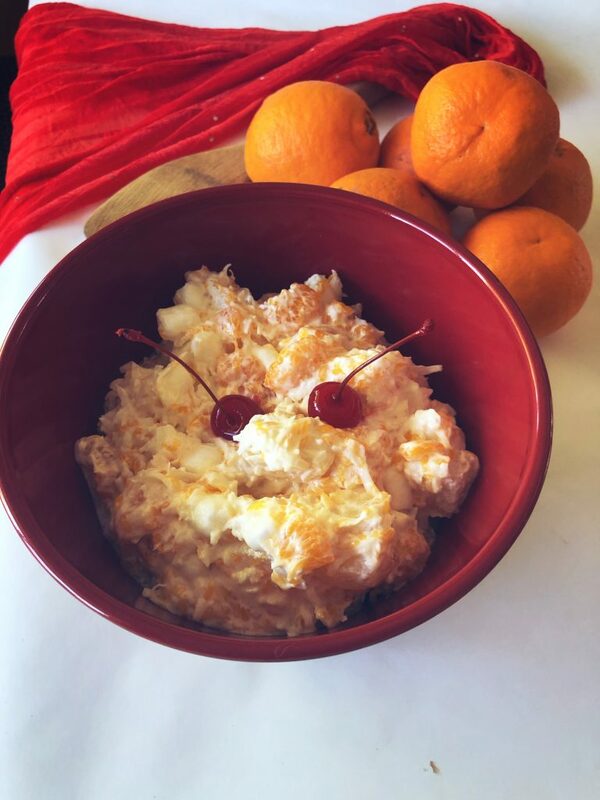 Here is a 5 minute dessert recipe with 5 ingredients, all measuring 1 cup. My younger son Neev made this dessert today. It is super easy and super yummy! As I plan for cooking an elaborate list of appetizers and main course, usually I have very little time allocated for cooking the dessert. So I had to come up with this quick but classy dessert recipe. This recipe is very very quick, but extremely tasty. I made it for a party with close friends a few days back and everybody like it a lot. This recipe is always a big hit. In a pan warm the whipping cream and the milk. Add the sugar and the instant coffee and mix it through. Now pour the mixture into the dessert cups (4 oz cups) and let it sit overnight in the fridge. 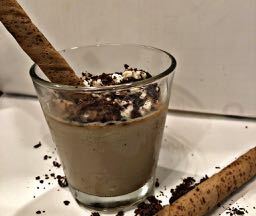 Top each dessert cup with grated dark chocolate, grated white chocolate and chocolate hazelnut stick.